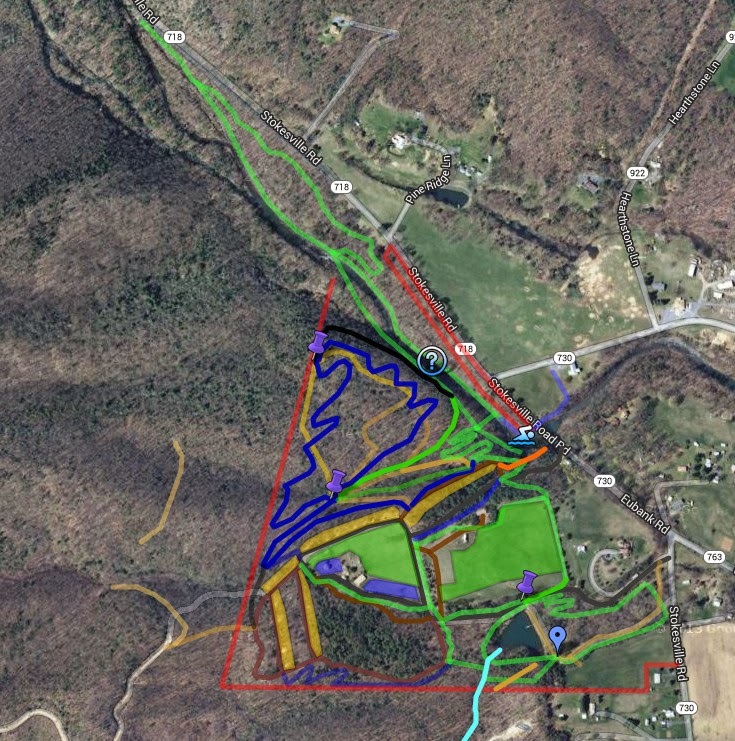 Overview of the propety and the proposed family friendly trail layout. 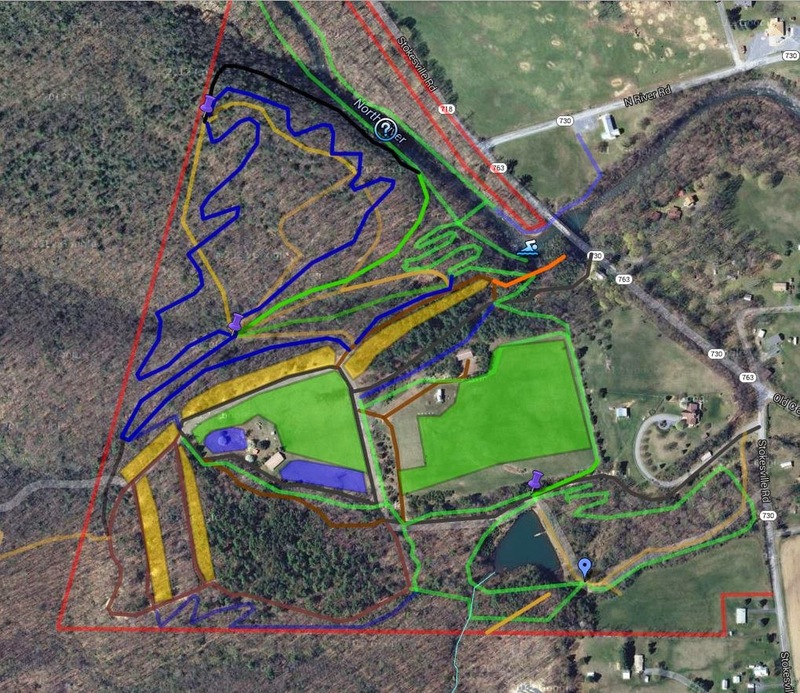 This zoomed out view provides an overview of how the land is situated in relation to the surroundings. 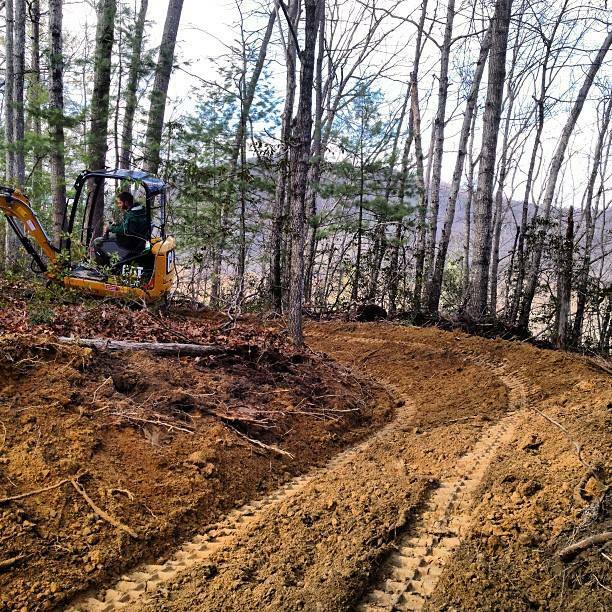 March 2015 update… more trail work is underway! Overlooking the North River at the Stokesville Lodge and Campground with Andrew Mueller of Elevated Trail Design grooming some new singletrack.